A Speck ‘A Blue Glitter! Adam Lambert appeared on Ryan Seacrest’s radio show July 27th! He spoke about life on the tour bus, being chased by a dedicated drag queen fan, loose glitter, If I Had You, his passionate fans, the Orange County Fair, and took a question from a 10 year old fan. He also said he’ll be writing some more music for his second album in the fall (we heard that from another interview you can find here: https://adamlambertglamfans.wordpress.com/2010/06/28/adam-lambert-on-kc101/), and told us about his key to happiness!! Here’s another interview done at the Warfield in the “Autograph Room” (sometimes it’s beer, sometimes it’s hard liquor!!!)! And here are 25 photos of fans with Adam from NOW 100.5 before the Thunder Valley show http://now100fm.radio.com/2010/07/26/now-listeners-meet-adam-lambert/#photo-1!! Adam Lambert Announces Glam Nation Tour!! Adam Lambert announced April 15th on Ryan Seacrest’s radio show that his new tour will be called The Glam Nation Tour (or is it Glamnation?)!!! Adam also discusses his performance last night on Idol, his newfound fame and the work it takes to be a ROCK STAR, Wango Tango, Adam’s remix’s, and the tour info (!!!)! Ryan Seacrest interviewed Adam Lambert on January 22nd. They discussed Adam’s performance at the AMA’s (yawn)…Ryan explained that he really wanted Adam to perform on Rockin’ New Year’s Eve, but it wasn’t up to him (cough, cough). Ryan weirdly asked Adam that if he were straight would he want to sleep with Madonna (this may be a fantasy of Ryan’s, but Adam wanted NO part of it!!). Find the rest at Team Lambert 2010’s YouTube page at http://www.youtube.com/user/TeamLambert2010. And according to MJs Big Big Blog “Adam will be singing “Strut” on the Ellen Degeneres Show, Tuesday, January 26. Ellen is celebrating her birthday. Strut on girl! The episode was taped yesterday (Jan 21).” Be sure to tune in for that one!!!! Love it!!! 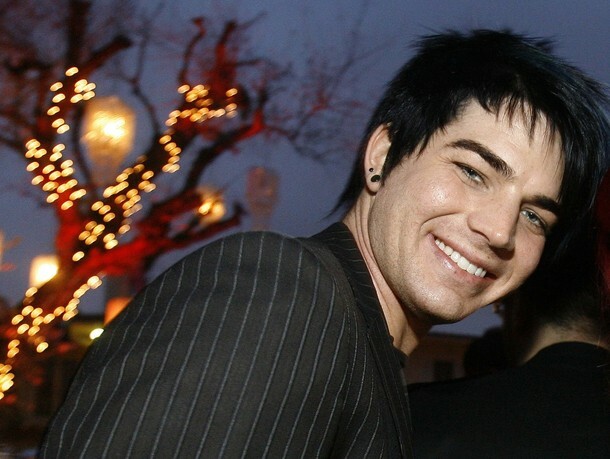 Read the rest at http://entertainment.blogs.foxnews.com/2009/12/16/adam-lambert-kissed-a-girl-and-he-liked-it/. Rolling Stone Magazine’s Reader’s Poll named Adam Top Artist of 2009!! Way to go people! See it here at http://www.rollingstone.com/news/story/31347137/the_yearend_readers_poll/3 ! And more good news for our boy, according to MJ’s Big Blog, Adam’s For Your Entertainment video hit #1 on iTunes yesterday! Whoohoo!! http://mjsbigblog.com/adam-lambert-for-your-entertainment-video-1-on-itunes.htm. Don’t forget, you have two more days to vote for Ryan Seacrest’s “Rock My Town” contest to see Adam, Kris Allen and Allison Araheta perform a concert in your town. NYC is in the lead right now, with Little Rock and Los Angeles following. Vote at http://www.ryanseacrest.com/blog/whats-happening/ryans-bringing-adam-lambert-kris-allen-and-allison-iraheta-to-your-town/. Finally, don’t forget to watch Adam live tonight on the So You Think You Can Dance finale!! The show is on Fox at 8:00pm EST. “For Your Entertainment” Single Is HEEERE!!! 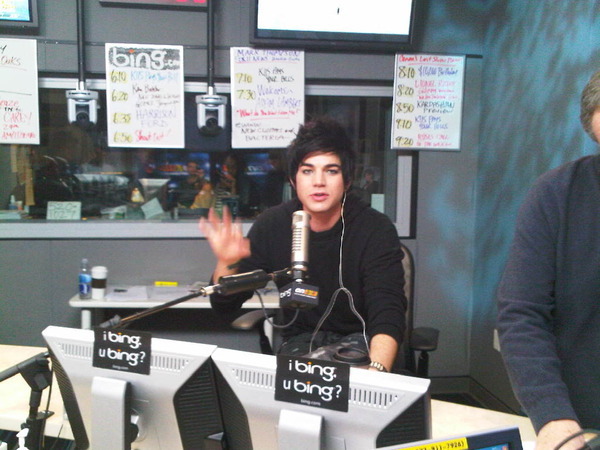 Here is Adam Lambert debuting his new single on Ryan Seacrest (along with their interview) this morning!!! Club pounding catchy and sooo HOTTT!!! Download it direcly at www.adamofficial.com!! Let’s support our boy!!! Can’t wait to hear the rest of the album!! “For Your Entertainment” Single Out Today!!!! Whoooohoooo!! He’ll be on at t 6:55AM PST . Get the link to Ryan’s show here at http://www.ryanseacrest.com/affiliates/. Listening LIVE here: http://www.kiisfm.com/mediaplayer/?station=KIIS-FM&action=listenlive&channel_title= More later on this (of course!!)! Gonna be a great day! !